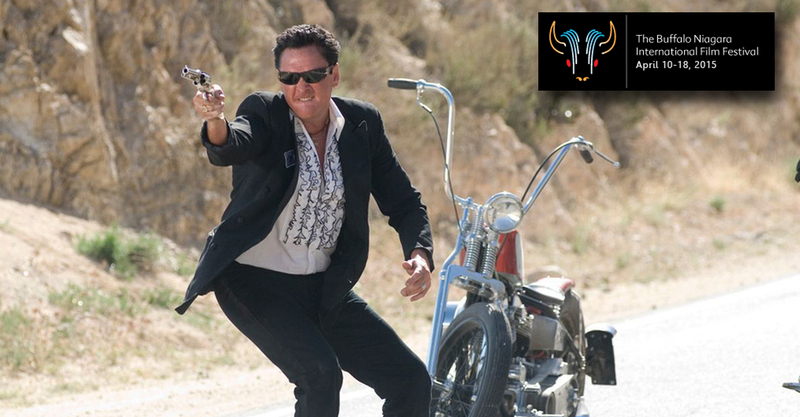 (April 9th, 2015) Michael Madsen and Larry Bishop return to the Buffalo Niagara International Film Festival which starts this Friday starting at 6:30 at the Tonawanda Castle. They will be in attendance for a special engagement of the Quentin Tarantino presented Hellride, in which they starred at 1:45 pm at The Adam’s Mark Hotel on April 14th. Larry Bishop wrote and directed this biker classic which also featured the original easy rider Dennis Hopper. Many more screenings and symposium information can be found at Buffalo Niagara International Film Festival Website or call 716-693-0912.